Beth, I wish you a wonderful birthday full of time spent with loved ones, big smiles, flutes of bubbly, and sore feet from all the shimmying and shaking! That night outfit has your name all over it Beth!!!! Love it! Good job Brooke! Not one, but two outfits! Wow! 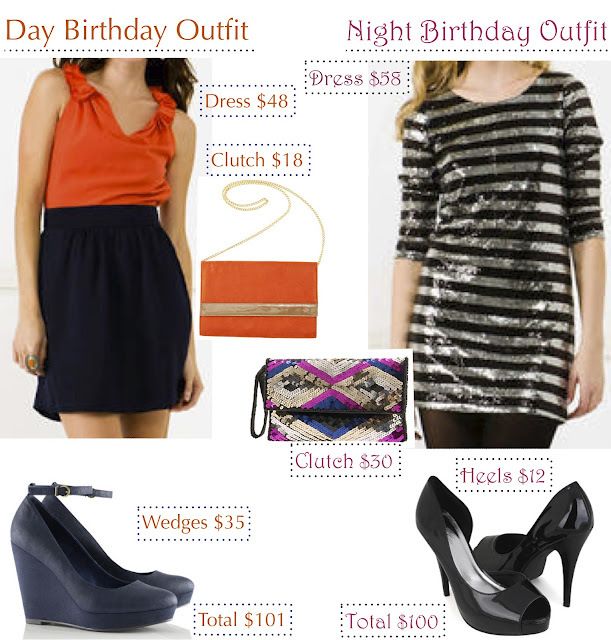 The day outfit is my favourite, I really love the orange clutch!